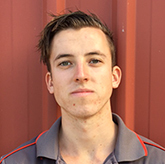 Danihers Facility Management has recently added a new Maintenance and Grounds Officer, Matt Hollow, to our growing team at Catholic Regional College North Keilor. Matt has worked at several client sites over the past two years, providing a range of facility services, including labour hire, maintenance and groundskeeping. In his role at CRC Nth Keilor, Matt is part of a service driven team, driving initiatives and looking for continuous improvement in day-to-day maintenance and upkeep around the facility, set up and pack down of school events, as well as caring for grounds and gardens. Away from work, Matt is passionate about health and fitness. A keen Sydney Swans supporter, he enjoys socialising and getting outdoors.